Developers building application programs for Android, Google’s popular mobile device operating system, develop primarily in Java. App developers write Java code via Google-developed Java libraries through a Dalvik Virtual Machine. 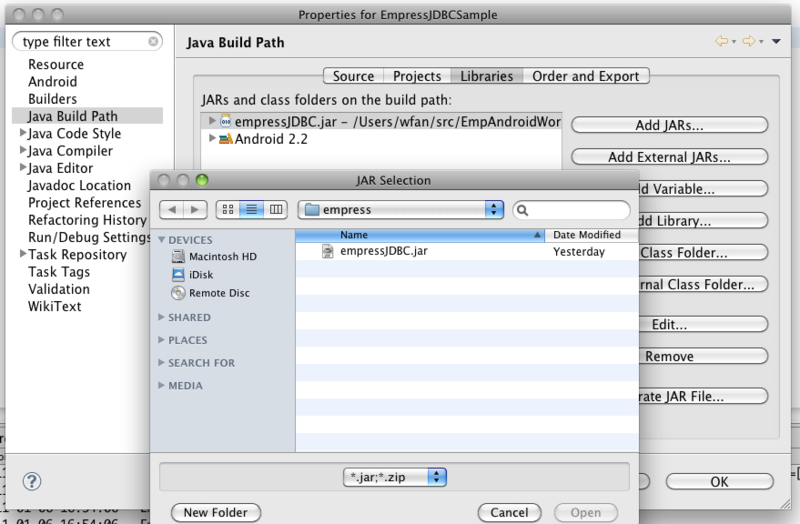 Empress SDK for Android supports well known, industry open database access standard JDBC API. It helps developers create new database applications or migrate existing database applications to Android quickly with minimal effort.